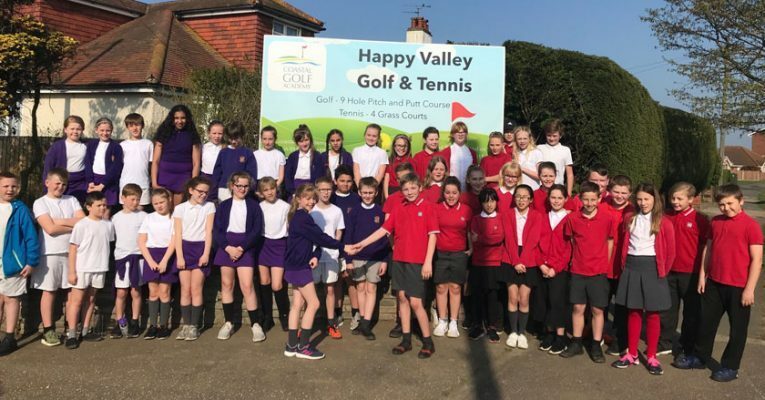 Friday 29th March saw Coastal Golf Academy start the new season reopening Happy Valley Golf & Tennis on Holland Road. 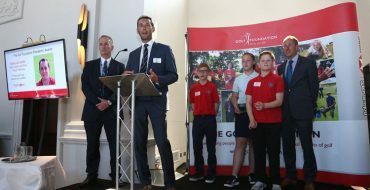 The day was celebrated by students from Holland Park and Holland Haven schools, who came to try out the pitch and putt course and the tennis courts. 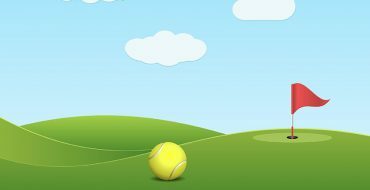 Chris Vine lent his expertise to the children on the tennis courts, while CGA coaches Tom Hide and Sarah Hawes led the way on the golf course. Coastal Golf Academy are keen to see this once thriving amenity restored to its former glory. Neighbours have spoken about how pleased they are to see Happy Valley receive some much needed TLC, one student at the Open Day even said his Grandma recalled working there in the 1970’s! Coaching from Coastal Golf Academy is available from the end of April, please give us a call for details. Coastal Golf Academy (CGA) is the leading golf academy in North East Essex. It benefits from a choice of four main venues and coaching from PGA qualified professionals. Whether you are looking to learn to play golf, or already an established player striving to take your game to the next level, CGA can meet your needs.